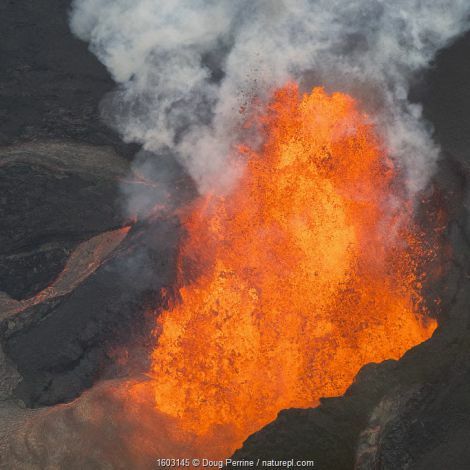 What’s it like to live on an actively volcanic island? Find out in our latest photo story! 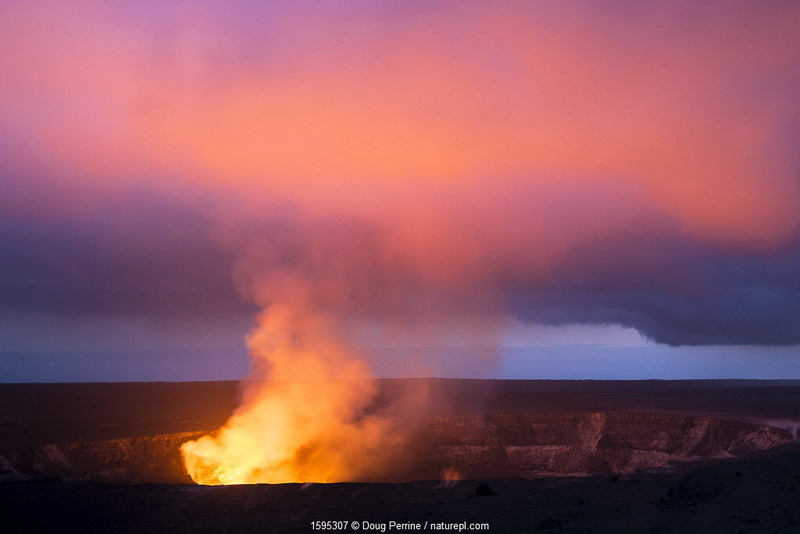 Photographer Doug Perrine has lived on Hawaii for quarter of a century. 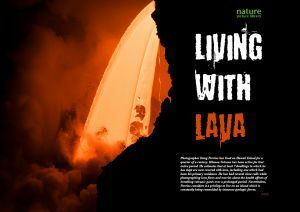 He’s had several close calls photographing lava flows, and even lost a home to volcanic activity. Nevertheless, Perrine considers it a privilege to live on an island constantly being remoulded by geological forces. The entire archipelago of the Hawaiian Islands and Empe­ror Seamounts, stretching some 5,800 km from the Island of Hawaii northwest nearly to the eastern edge of Russia and the Aleutian Trench, is formed of volca­noes, including four that are active, two that are dormant, and at least 123 that are extinct. 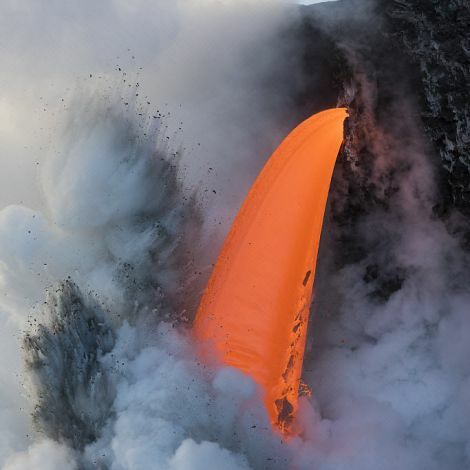 On New Year’s Eve 2016, a massive section of the Kamokuna lava delta collapsed into the ocean, exposing an active lava tube. 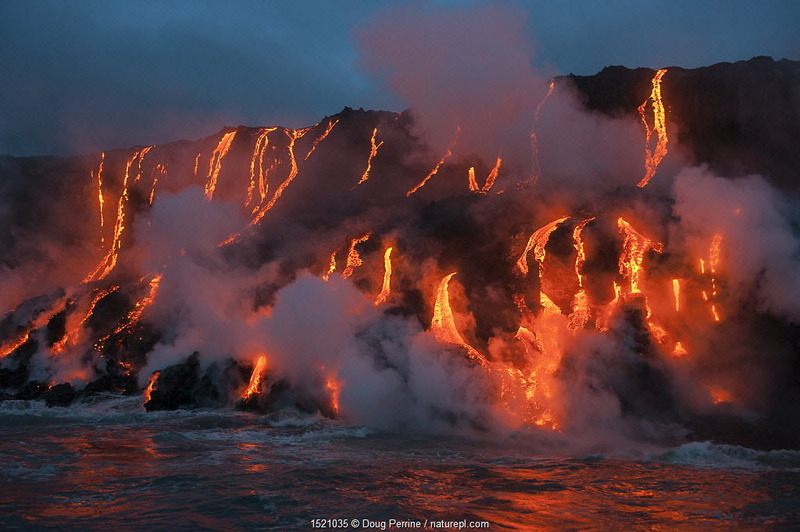 A spout of lava gushed out of the new cliff face into the cool waters of the Pacific. 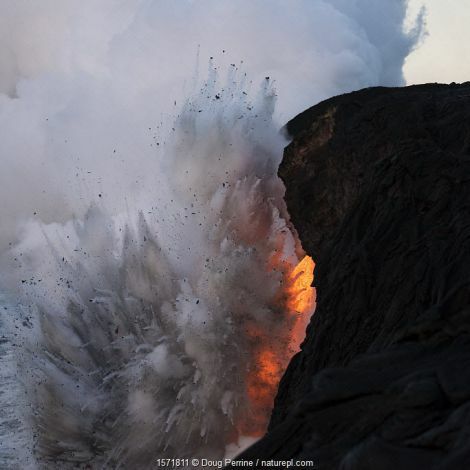 Where the lava impacted the ocean, the reaction was violent, generating explosions of acidic steam and fragmented lava pieces, which cooled rapi­dly into black pumice rocks. 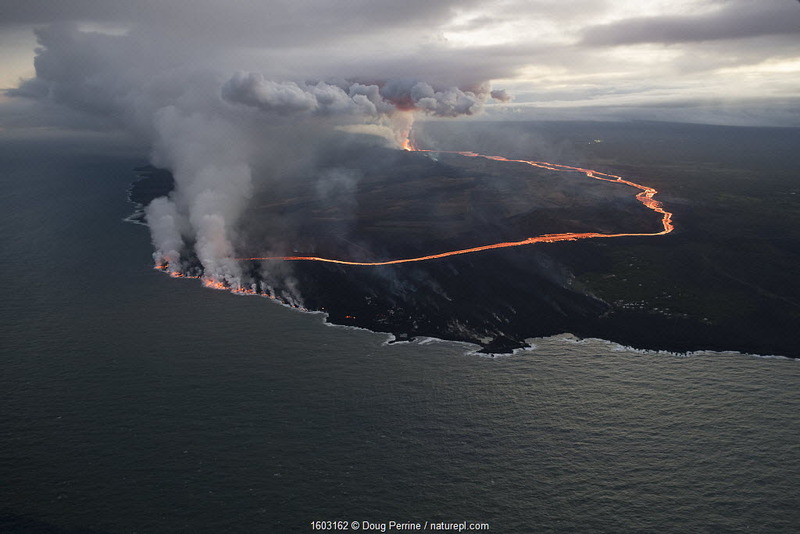 This battle of the elements played out until the build up of cooled lava created a new delta that finally sealed off the lava tube. 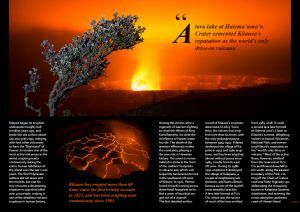 Hawaii’s Kilauea is one of the most active volcanoes in the world, erupting nearly continuously during the entire human habitation of the island over the last 1,000 years. 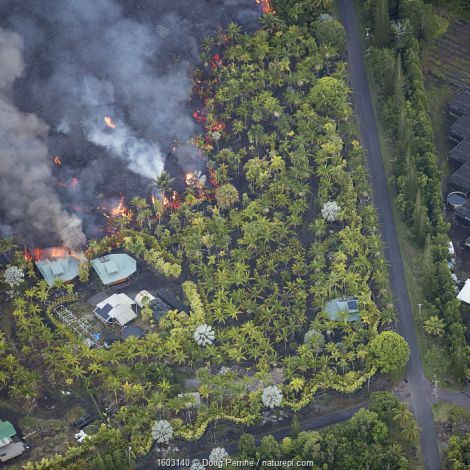 In 2018, a string of earth­quakes heralded a dramatic new phase of the eruption, resulting in the draining of the two lava lakes, and multiple fissures ope­ning up in the subdivision of Leilani Estates, outside the small town of Pahoa. 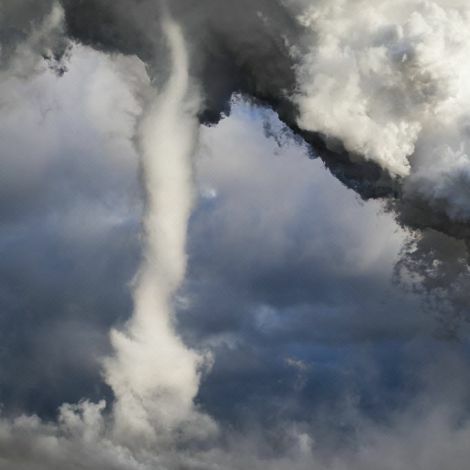 Lava and toxic gases spewed into the air from cracks in formerly quiet residential streets and lawns, destroying hundreds of homes and consuming entire neighbourhoods. 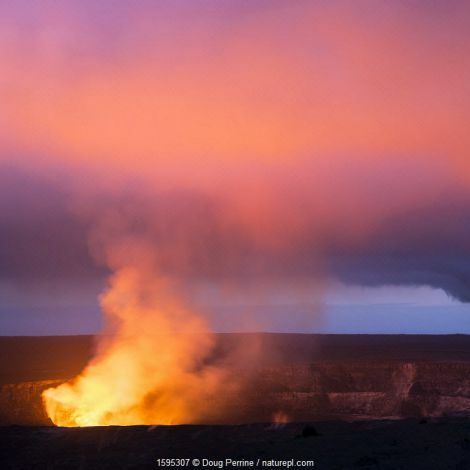 In Sept 2018, Hawaii Volcanoes National Park reopened to visitors, after a period of closure that lasted 135 days. 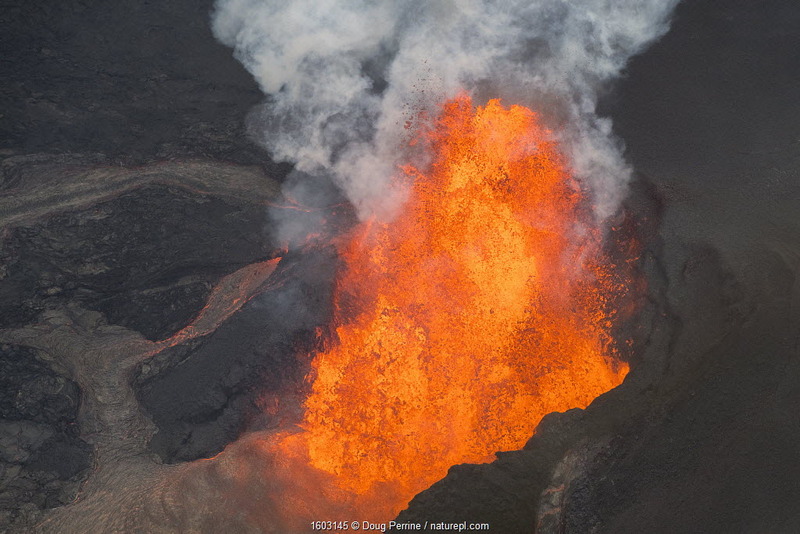 While volcanic activity has slowed down significantly and no lava is now reaching the surface at Kilauea, scientists aren’t ready to declare the latest eruption over. 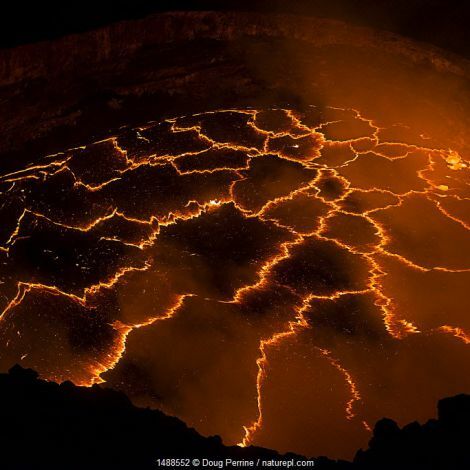 The volcanic ‘hotspot’ which sits below Hawaii – and is responsible for its creation – continues to force magma up through the crust of the earth. 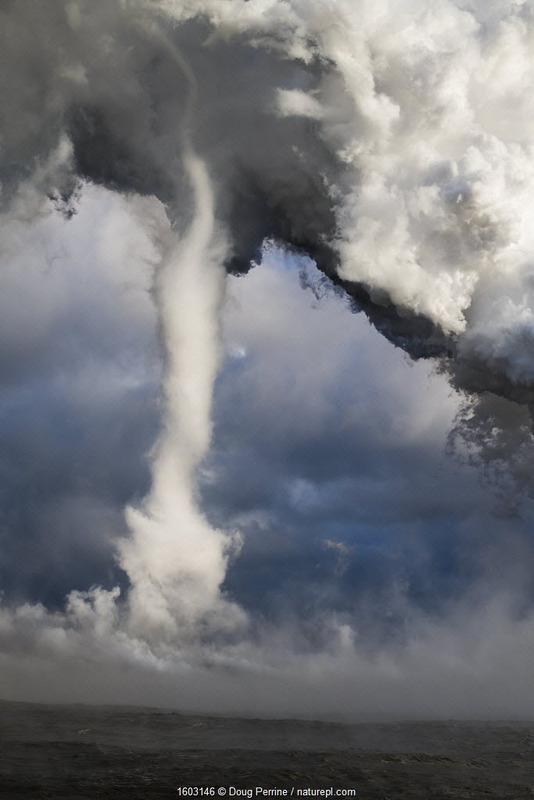 It’s really only a mat­ter of time before the next major event. 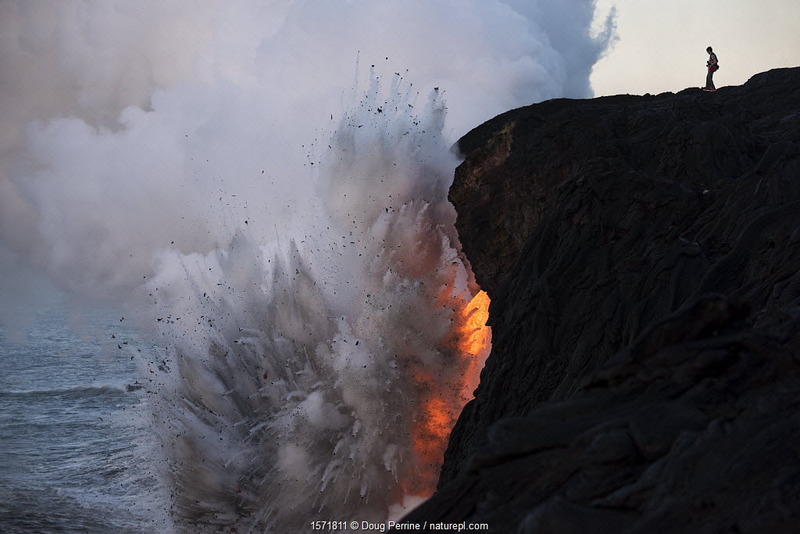 Lava entering the ocean forming, steam, laze (a dangerous acidic steam formed when lava meets saltwater) and a waterspout. 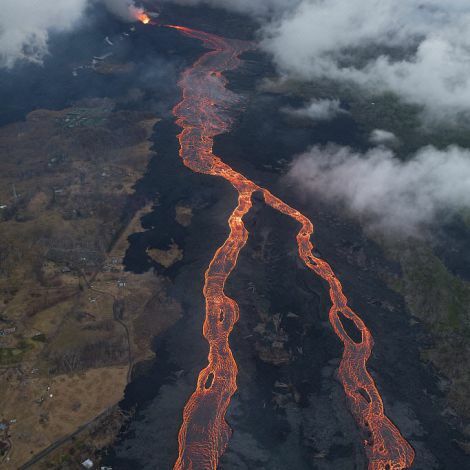 The lava originated from fissure 8, Kilauea volcano. Kapoho, Puna District, Hawaii. June 2018. 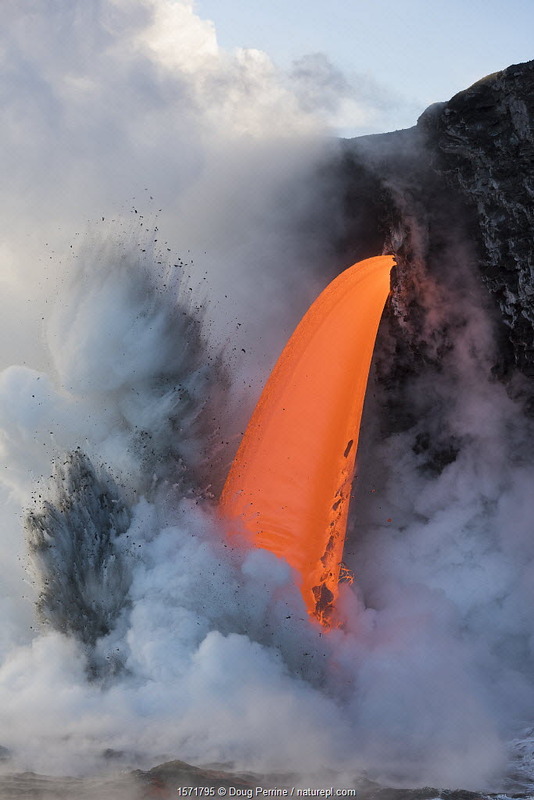 Lava originating from Kilauea Volcano, erupting from fissure 8, near Pahoa, fountaining over 70m high into the air and sending a river of lava toward, Kapoho, Puna District, Hawaii. June 2018. 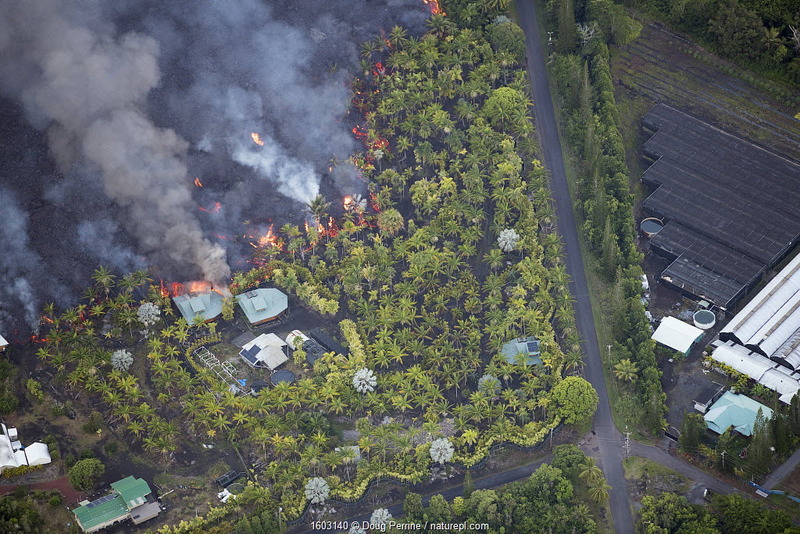 Aerial view of a river of lava, from Kilauea Volcano erupting from fissure 8, Leilani Estates, Pahoa. Puna District, Hawaii. July 2018. June 2018. 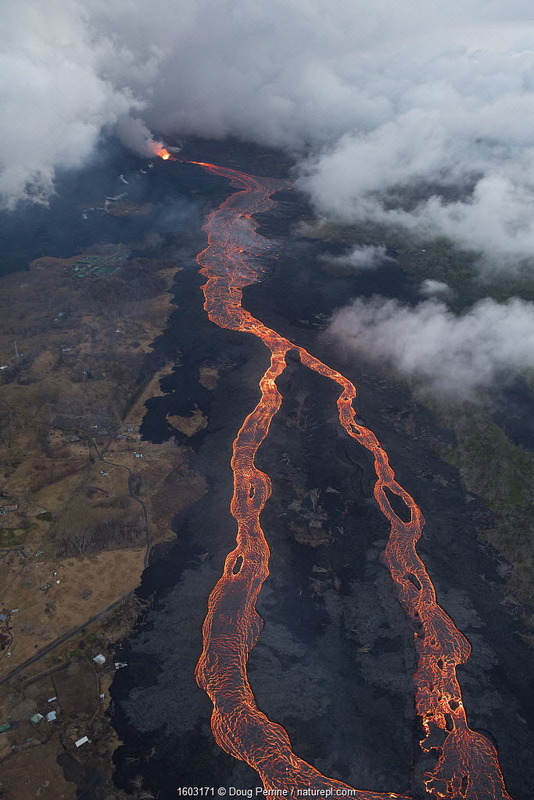 Lava originating from Kilauea Volcano, erupting from fissure 8, near Pahoa, flowing through lower Puna into Kapoho, destroying agricultural properties and burning trees, streets, and structures, Hawaii. June 2018. Lava lake hidden the caldera of Halemaumau Crater lights up a plume of steam, sulfur dioxide, and sulfuric acid at dusk, Kilauea Volcano, Hawaii Volcanoes National Park, Hawaii. 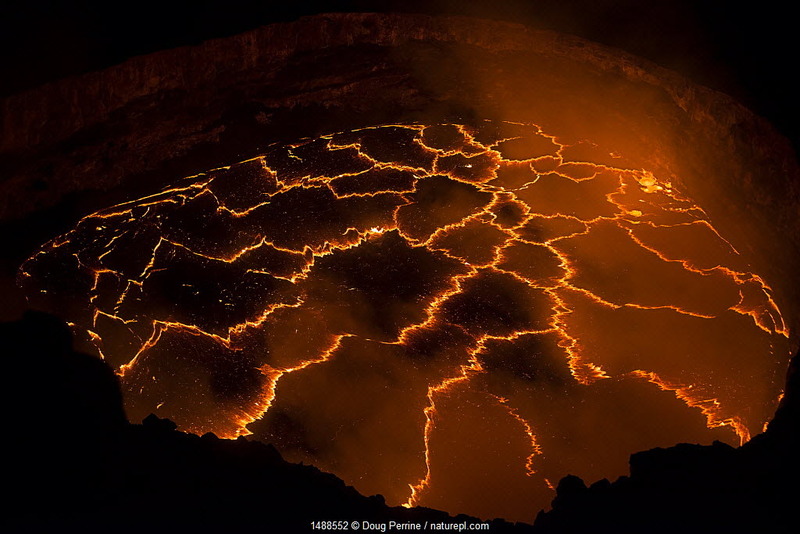 Lava lake boiling within Halemaumau Crater, Kilauea Volcano, Hawaii Volcanoes National Park, Hawaii, USA. 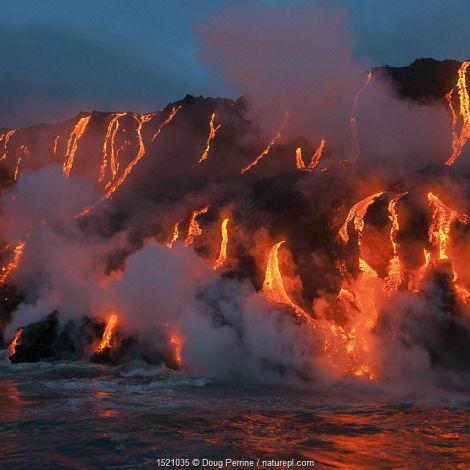 Red hot lava from Kilauea Volcano flowing into ocean at West Kailiili, Hawaii Volcanoes National Park, Big Island, Hawaiian Islands, USA. Lava erupting from fissure 8, Kilauea Volcano, near Pahoa, and flowing through agricultural plots to enter the ocean just south of Cape Kumukahi, Kapoho, Puna District, Hawaii. June 2018.